With it being the last day of the month, the Flower, Xochitl, is a symbol of the culmination of the work, the harmonious development of all human faculties, the Self-Realization of the Being. This one represents the return and reintergration to the TRUTH. Regent God: This is an abstract symbol and represents both the flowering and the disappearance from existence. Xochitl is the last symbol appearing in the Borgia Codex. 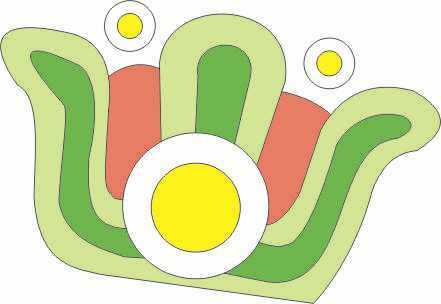 It has the shape of a yellow crown with a calyx formed by the glyph chalchihuitl. It could be a simple flower or a whole tree as a flower. Its regent is given the name of Xochiquetzal (the Goddess of Love) and Xochilipilli (God of Sustenance and procreation). The Location of the Day in the Borgia Codex: On his tongue, as from his mouth only emanate precious words.